Novi Sad School of Journalism organized a thematic walk through the Novi Sad about historic influential women who lived in our town. On that occasion we learnt a life stories of scientist Mileva Maric Einstein, journalist and first women magazine editor Milica Tomic, humanitarian Marija Trandafil, feminist Savka Subotic, first girl with high-school education Marta Jorgovic, philosopher Anica Savic Rebac, actors Milka Gurgurova and Draga Spasic, ethnographic and pedagogue Jelica Belovic Bernadzikovska, painter and nurse during the wars Nadezda Petrovic, writer Isidora Sekulic and a humanitarian Jelena Kon. 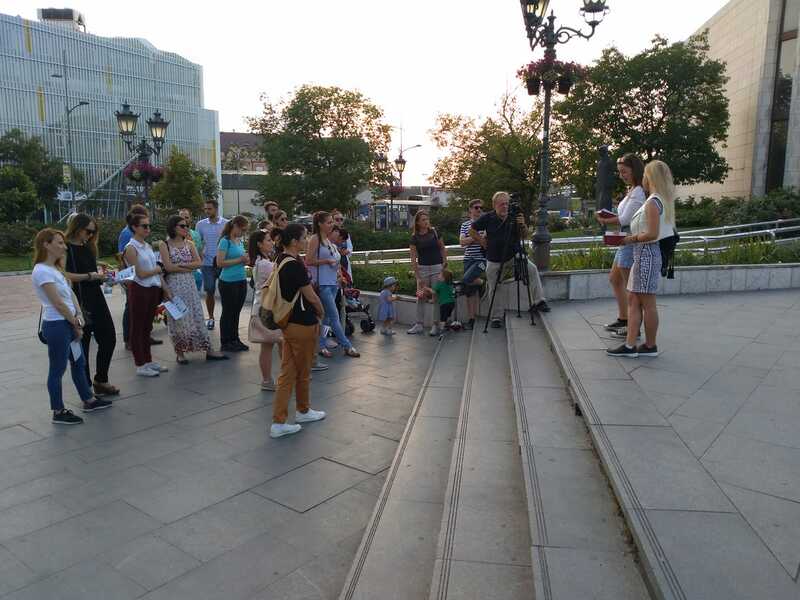 Our guides were students of architecture Dragana Gajic and Teodora Rankov and they met participants of the walk with women history of Novi Sad, stories of those great women and their houses or their endowments. The participants of the city tour told that, until then, they didn’t know much about those women and their relationships with buildings which they we passed by every day. In this video you can see how that looked like and walk a little bit with us.